Brooklyn’s Dub-Stuy collective is proud to announce a series of summer events under the Backyard Hi-Fi Sessions banner. 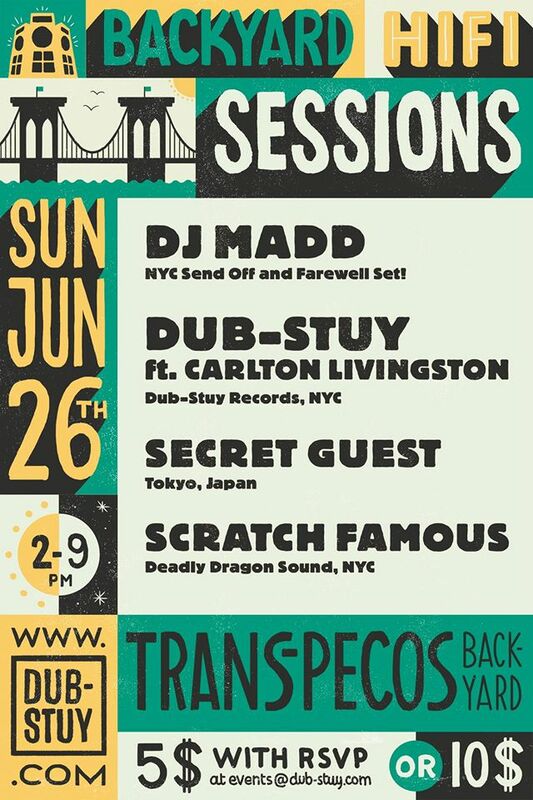 A celebration of sound system culture in New York City, these daytime events will be held on the last sunday of the month in June, July, and September in the backyard of Trans-Pecos. Taking inspiration from the yard parties of Kingston, Jamaica, and the block party culture of New York City, Backyard Hi-Fi Sessions explores the connections between hip-hop, reggae, and contemporary bass music through the lens of Dub-Stuy’s custom-build 15,000 W Jamaican style sound system. Food, drinks, and board games will compliment a varied musical line up featuring local crews and surprise guests jamming on the decks and microphone. The sessions are sure to make for a perfect NYC summertime vibe. The first Backyard Hi-Fi Session takes place on Sunday, June 26. DJ Madd will be toasting to his time in Brooklyn with a DJ set of dubwise and modern bass- join us for this sendoff and celebration of DJ Madd’s time in NYC before he moves south to Florida. Also on the lineup is Jamaican music historian, Scratch Famous of Deadly Dragon Sound, who always bring the sunshine and vibrations with his selection of 45s. Dub-Stuy DJs will be manning the decks all day with help from Greensleeves artist and legendary singer, Carlton Livingston, along with a cast of up and coming vocalists. 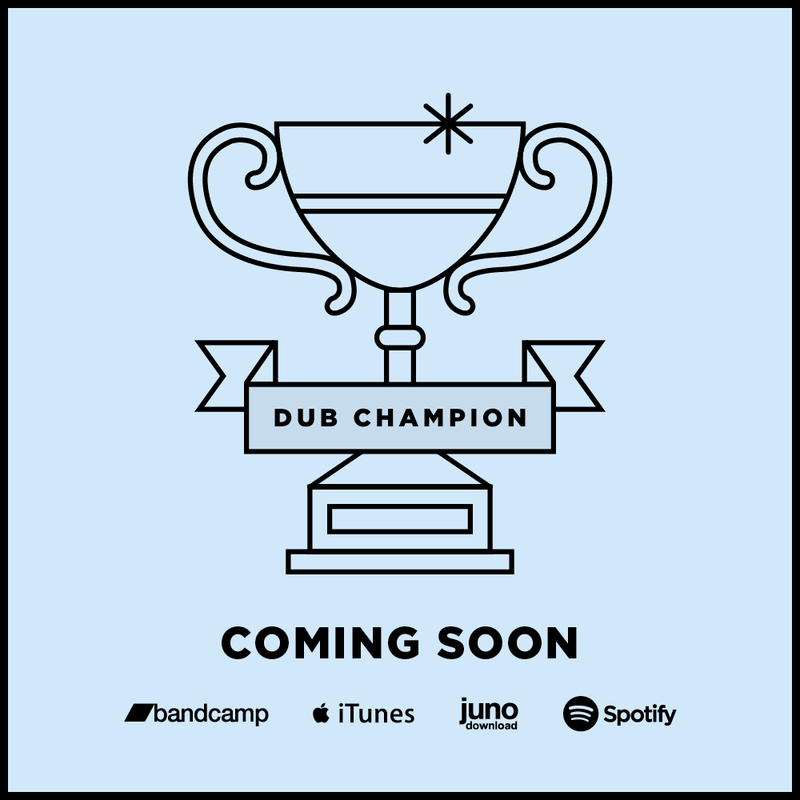 Topping the lineup is a secret guest with a deep record bag you won’t want to miss. Expect exclusives, classics, and favorites, new and old.